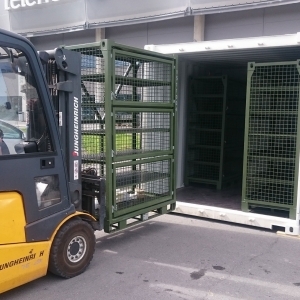 Spacesaver understands the importance of the armory, whether its purpose is to serve military police, security forces, firearm training, or Armed Forces anywhere in the theater of operation. 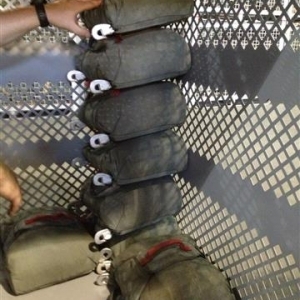 Proper military weapon storage requires the utmost in secure storage, yet it also dictates a highly organized approach and optimal use of space so you can issue items quickly and efficiently – and tackle any situation head on without a moment’s notice. Putting limited armory space to best use for efficient weapon storage is critical. 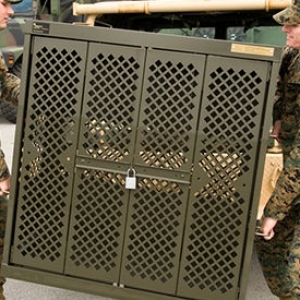 With military storage solutions from Spacesaver, armories can be assured that weapons storage, optics storage, ammunition storage, radios, high-security items and much more are always ready and secure. Our assurance is built on the kind of trust that can only come through decades of proven military success. Our weapon storage system, the UWR storage system, is ready for secure weapon storage and optics storage using the same cabinet frame. The ability to store multiple weapons in one system – and do so without the need to disassemble or zero the weapon – boosts operational and combat readiness. For weapon rack security, the UWR storage system is unmatched. Locking bars exceed military requirements for security of conventional arms, ammunitions and explosives (OPNAVINST 5530.13B and AR 190-11). Durable and welded hinges prevent tampering with doors and meet OPNAVINST 5530.13B and AR 190-11. The list goes on. And now, with the UWRmini® Storage System, you gain the same level of security and efficiency – but in a smaller size to match the high level of agility associated with today’s fighting forces. 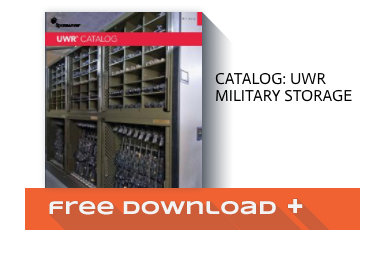 The Spacesaver UWR is the leading Armory storage solution used by the military. To learn more download the full catalog below.